Polish and Charms: September is PCOS Awareness Month! Hello everyone! Hope you are all having a wonderful day! 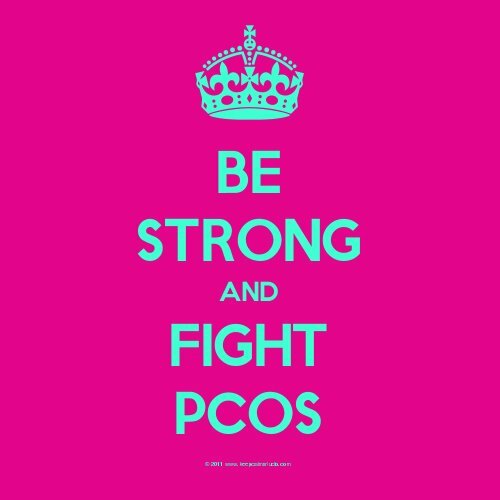 What is PCOS you may ask??? 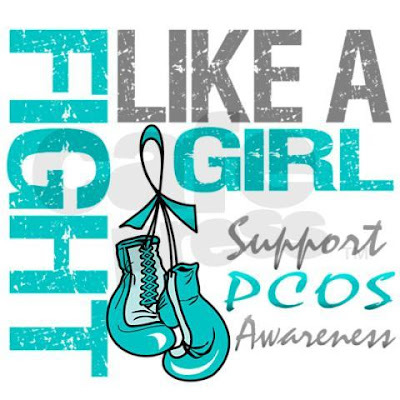 PCOS is Polycystic Ovary Syndrome. One of my fellow Twinsie Tuesday ladies, the fabulous Nory from Fierce Makeup and Nails, suffers from this condition and has asked that we spread the word! She has even started a blog about her struggles, triumphs and how she is coping with this, which you can read here. The colors to support awareness are teal and white. So here's my my mani to support this cause! This is Kleancolor Metallic Aqua and the ring finger is China Glaze Up All Night. Aww great post! I'm gonna do some teal nails this month too!! Beautiful nails and a beautiful post--I love that awesome teal! Great post about PCOS! The mani looks beautiful! Thanks for drawing attention to PCOS. Many have it and never get diagnosed. This is also ovarian cancer awareness month which teal is their 'color' identity. Beautiful!!! I love the polish you chose! So pretty! What polishes did you use,Meredith? I used Kleancolor Metallic Aqua! Thanks! Yes it does, hopefully people can get the help they need. Beautifully done! And that Metallic Aqua is just gorgeous on you! Oh, this is great and the accent nail is amazing! Cute! I love the leopard print!